One of the fun things about being out in nature is finding new and interesting things you may not have seen before. This image is a perfect example! 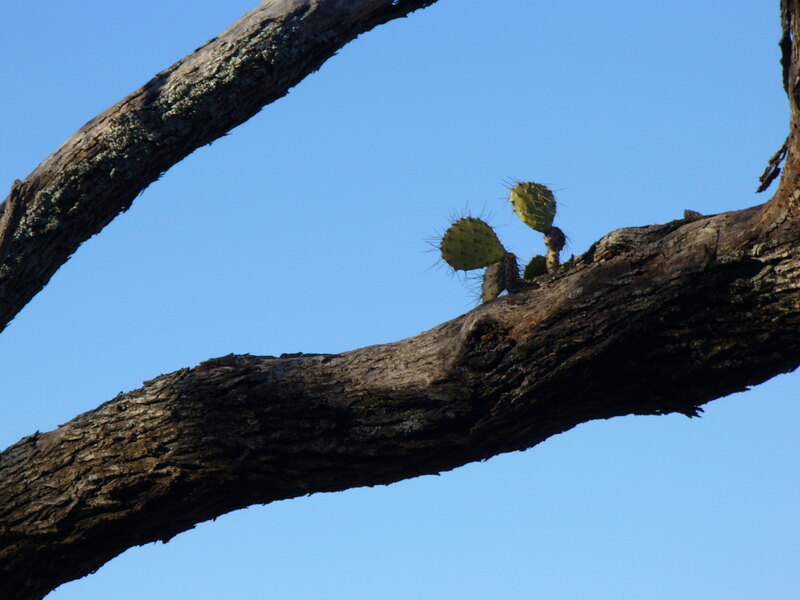 How did a cactus wind up on a branch high above the ground? It’s growing, it’s healthy and it’s at least 15 feet away from its normal home. Any ideas?